You just need a break from reality. 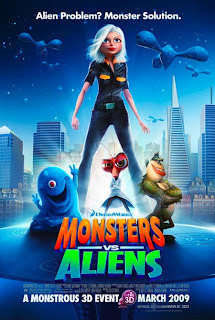 I just watched Monster vs Aliens. What a great way to relax and recharge your batteries. I do recommend this movie to anyone that hasn't had a chance to watch it yet. Yeah it is a kid's movie, kinda. But it is one that adults will enjoy also.